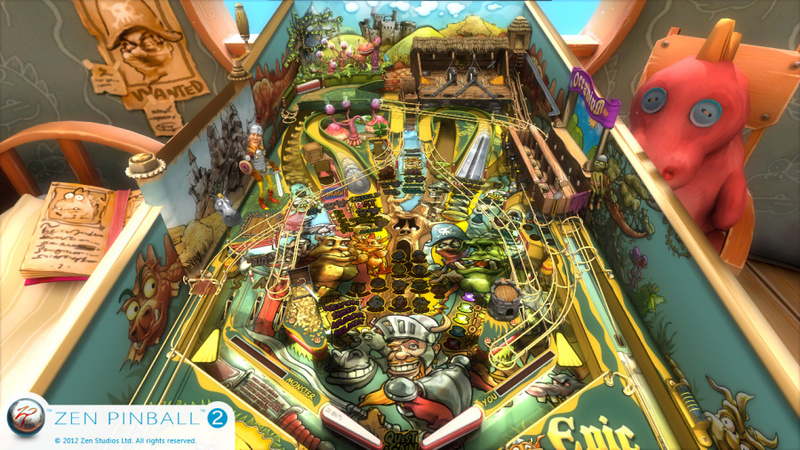 Zen Pinball 2 is a title that's seen its Wii U eShop release delayed from an original December target, as a result of its free download/paid DLC model requiring extra attention for publication. While the actual pinball is polished, fun and generally first-class, the infrastructure behind it is the exact opposite. With 26 tables available at the time of writing — through a combination of four table sets and individual options — there's a significant amount of choice on offer, with short and snappy free trial runs available for every table that can be played as many times as desired. Surprisingly, the initial download only includes four trial tables, with all others requiring a fresh visit to the eShop; a larger initial package with all trials included would have been far more convenient. Convenience, unfortunately, was completely overlooked when putting together the process for buying and downloading content. It's surprising that when you pick a table and select to buy it or download the demo, you're greeted with a text box telling you to buy the table from the eShop, but no link to do so directly. The fact that New Super Mario Bros. 2 on 3DS lets you purchase Coin Rush packs from within the game shows how clumsy and out-dated this is; you need to go to the Home menu and then select eShop, or visit the store and find the right area before going into the game. The related area in the eShop then lists the individual trials and unlock packs, though bizarrely you're only allowed to download five options at a time, which again seems rather archaic. Once you've processed the transaction on the eShop it downloads as expected in the background, yet when complete — if you haven't already done so — you'll need to quit the game and re-open it, at which stage the download is installed and your tables will appear. Or not, if you purchased an unlock option. The unlocked tables that you've just clumsily paid for will only work if you've already downloaded the equivalent trial tables, too; the game doesn't tell you to do this. [Correction: a line stating this appears on the age classification page, missed during our review testing. Our overall assessment of this process as being unintuitive remains unchanged] Not only does this necessitate yet another unnecessary trip to the eShop, but would have been avoided entirely if the initial download had included all trials in the first place. Whether Zen Studios or Nintendo is culpable for this disappointing infrastructure, an update is sorely needed to ensure that those with less patience or familiarity with the Wii U operating system aren't driven away. If anyone does decide that the fiddly process is too much hassle to make buying tables worthwhile, it'd be a terrible shame. Once you've downloaded your content and calmed your nerves with a strong drink, the actual experience is — for the most part — a delight. The front end of the app, showing your content, settings and scrolling leaderboards and stats, is clean and easy on the eyes. There are a dizzying number of customisation options for those that want to try different settings in the game as a whole, or even to modify the rules on an individual table — only scores on factory settings go onto leaderboards however, which is perfectly fair. You can view awards and leaderboards — split into friends, country, all-time and weekly scores, for example — intuitively, and the only issue can be with some occasionally lengthy load times or connection issues with the rankings. 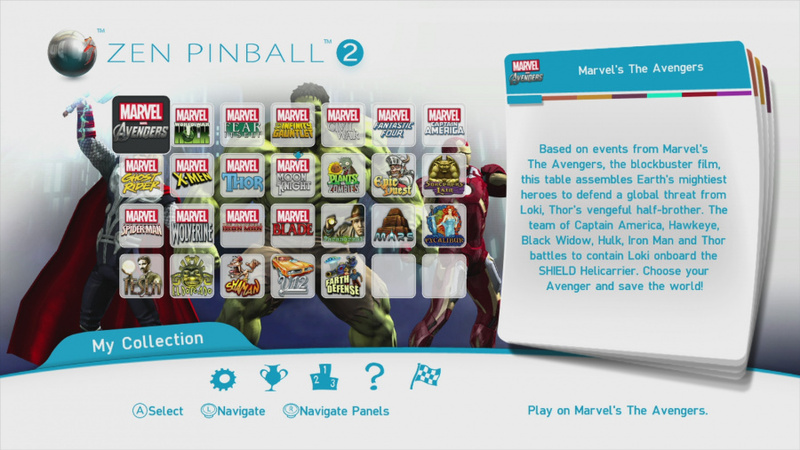 The pinball action is as expected, with control options including the intuitive use of the ZL and ZR shoulder buttons. 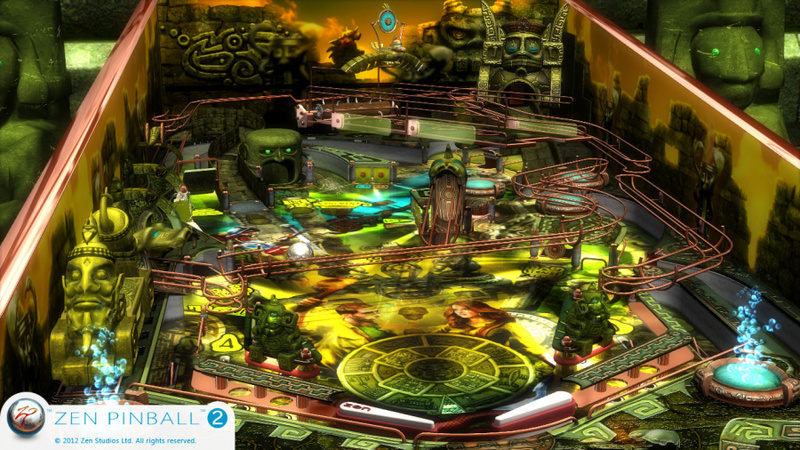 Two of the many tables that we've played are El Dorado and Shaman, which were included in Zen Pinball 3D. It's an enlightening comparison, with the bright and sharp HD visuals being accompanied by an impeccably smooth frame rate; the 3DS release performed admirably, but this is a significantly stronger experience. Across the tables the visuals may be basic, from a technical perspective, but there's strong art design that lights up the screen, with no excuses for the player not spotting important bumpers or ramps — the useful table guides are also invaluable for finding your way around each layout. The biggest attractions, arguably, are the licensed tables that introduce familiar brands to accompany the using ball flipping fun. "Original" tables focus on a theme and, often, include more complex combo requirements, bumpers and switches to worry about before triggering big-scoring missions — Tesla is an example of this. Generally, the licensed designs seem to have a heavier focus on ramps for combos, which may seem simplistic to pinball wizards but will appear fast-paced and fun for those not necessarily obsessed with mastering complicated tables. There are some designs, both licensed and original, that we feel lack balance — such as the sparse Mars table — but the option of admittedly short trials at least allows for educated purchases. If you're particularly invested with a licensed brand or series that's portrayed, meanwhile, then you'll probably enjoy some of the nods and winks to characters both in the various actions on the tables and their missions. The same formula ultimately applies in missions — hit the lit ramps, spinner or flashing switch — but this is pinball, so complexity isn't necessarily important. No doubt holes can also be picked in music or voices, but touches such as balls with different characteristics to represent Marvel heroes are occasionally clever and always welcome, while charming battles and character animations add to the appeal. Thor and Moon Knight are stand-out tables in our view and Plants vs. Zombies, meanwhile, is perhaps closest to its source material, with sound effects and and a visual style immediately recognisable to those who've enjoyed the original game. Use of the GamePad is generally excellent, with perhaps a couple of minor missed opportunities. When the main action is on the TV the controller shows how many balls are left, your score and its progress towards your top ranking, and occasionally switches to a zoomed-in action camera angle of a key event. In truth your eyes are glued to the TV, meaning that these inclusions are largely ignored, though they're nice touches. We would have liked the option to fill the GamePad screen with the dot-matrix display — which does also show on the TV in the top left corner — but that's a minor quibble. Off-TV play is a welcome and classy touch, however, as you simply press and drag your finger on the GamePad screen to move the main action from the TV to the controller, and vice-versa. The GamePad screen does a solid job, and this is exactly the kind of game for which the function was surely designed. 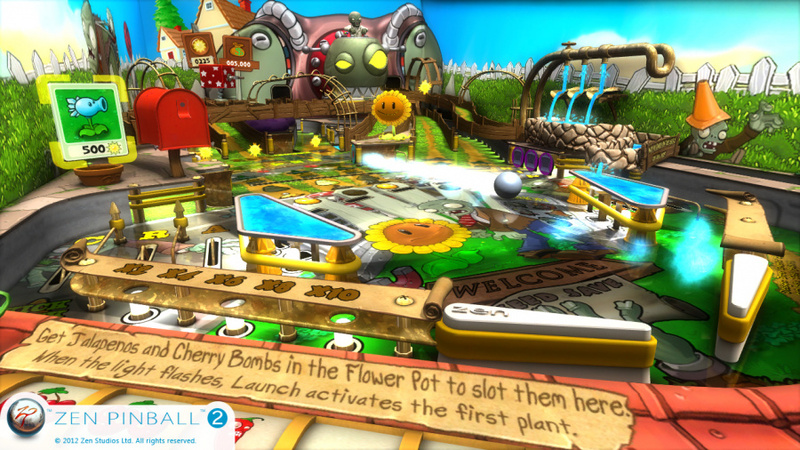 The colourful visuals understandably have far greater impact on a HD TV, but Zen Studios deserves credit for its use of the Wii U controller, including a minor but neat ability to launch the ball into play with a touch-screen operated spring. Much like the 3DS titles this entry also includes hot-seat multiplayer, where you take turns to set a higher score, as well as a new split-screen score "race" where you'll need a GamePad and Wii U Pro Controller — Wii Remotes and Classic Controllers aren't supported. Multiplayer is fun for some local rivalries and is a nice extra albeit not fundamental to the score-chasing experience, but the lack of support for the Wii Classic Controller is unfortunate. And so Zen Pinball 2 is a download of contradictions. Its processes for accessing trials and unlocking DLC is exceptionally disappointing, making us wonder why on earth the game was delayed to implement such a messy setup. And yet once that's out of the way and you have your tables unlocked, it's an absolute pleasure. As most of your time will ultimately be spent playing as many or as few tables as you want, then this delivers terrific variety and gameplay to satisfy pinball fans. If Zen Pinball 2 is the beginning of a new distribution model on the Wii U eShop, of free apps accompanied by paid DLC, then it's an extremely rough start. The infrastructure is clunky and, to be blunt, unacceptable, which could be enough to put off some that decide it's too confusing or clumsy to be worth the effort. Once accessed, however, the content is excellent; tables looks and play wonderfully, a treat for the eyes and the senses with sharp controls and on-screen responses. Credit is also due to Zen Studios for its use of the GamePad, which just makes us wish that the overall package could hit a big combo and top the leaderboard. The infrastructure isn't THAT bad imo. It sure is clumsy and a bit confusing, but it's about the game here, isn't it? And the game is really excellent. I've played it the whole afternoon yesterday and got some awesome scores 9/10 for me! Have to agree with you, I had no bother with downloading a couple of tables and getting started on them right away, I personally found the setup fine. I got the PvsZ & Fantastic Four tables, both are fun to play and wonderful to look at. I will probably stick with just these two tables and hope that we see some Wii U exclusive tables released in the near future, love to see Nintendo themed tables, I'm sure they'd sell really well. It's a little clunky and confusing but at least once you get it all set up it's all fine. I haven't actually downloaded any tables yet though, as my bank account is completely empty. It's not a free app it's a demo with dlc. Lock at at that jetpac game on iphone that's a free game with dlc! Plants versus zombies I enjoy alot though! Since I have this on other platforms I already knew which tables I wanted so no need to download the trials.So went to shop downloaded zen pinball went back installed game,booted up game tried to download table oh no I have to go back to shop. Start game tables don't show up.It wasn't till next day I realized what was wrong.I have never been so frustrated. Any normal person would have given up,and maybe thought I'm not going to bother with that e shop it's kack. Sounds like a nice game, even if the setup is clunky. When are they releasing this in North America? Only bought 2 tables, I play on my 3DS also. Wondering what the other pinball game will bring to us. I downloaded this, then tried to figure out how to buy the Plants Vs Zombies table (selected it and Pressed A) and the screen kept reloading followed by my Wii U crashing. Why couldn't this be made more intuitive? The Tables are 40p more than on the Ps3 , but you can play it on the gamepad as well, i think the effort they put into this games is worth the premium over the ps3, ive compared versions and the Wii U version looks mile better. Agree with the set up situation. Quite poor, clunk and confusing by modern standards. My first download didn't even work and my plants vs zombies kept on crashing the system itself! However, the tables, once all set up are really good overall. Think Zen deserve an 8 because of the sheer quality of tables. My other complaint is that i'd've liked more standalones. Yeah great game, after setting it all up 2 to 3 exits/enters later i've had more then my moneys worth of fun. They'll most likely make a ''all table'' pack, something I guess they should have done at first, but oh well small mistake really. And by the way you can set the ''Action View Camera'' to show on the TV to right so you don't miss any of the action. I'd give it closer to 8.5 / 10. The game itself is great..I'd give it an 8 minimum but I completely agree about the clunky download interface. I cannot understand how the game gets delayed yet, downloading a table that doesn't have a trial can be so frustratingly difficult. Why doesn't the shop realise this and download both the trial and content if both are required? indeed, the purchase process is not very smooth but you cant blame Zen for that. Nintendo did not show any details of the eShop to 3rd parties until very late and im pretty sure that did not leave enough time to properly integrate it. The game itself and the tables are great, but yeah, the implementation of the DLC is too complicated. Considering it was delayed, the non-integration of the game with the eShop is frustrating. Hopefully a patch to improve this will arrive in the future. Glad we have Miiverse for any questions. For those saying that the Wii U version looks a "mile" better than the PS3...how can you virtually tell?! Well I for one will be getting all of the tables on the Wii U, just like I do for 3DS, PS3, and the 360. Yes I'm a Zen fan. A fair and candid review here. When the Wii U version hits the NA market, I'll make my own assessment. I'm very hopeful they can sort it out as three trips to the eShop just to get demos was poor. If I had tried to buy sight-unseen and found I needed to guess that the trial download was required I'd have been even more annoyed. They also really need to make all tables available for individual purchase. There are three Marvel tables I want which are pack-exclusives and I'm just not willing to buy the packs for one or two machines. 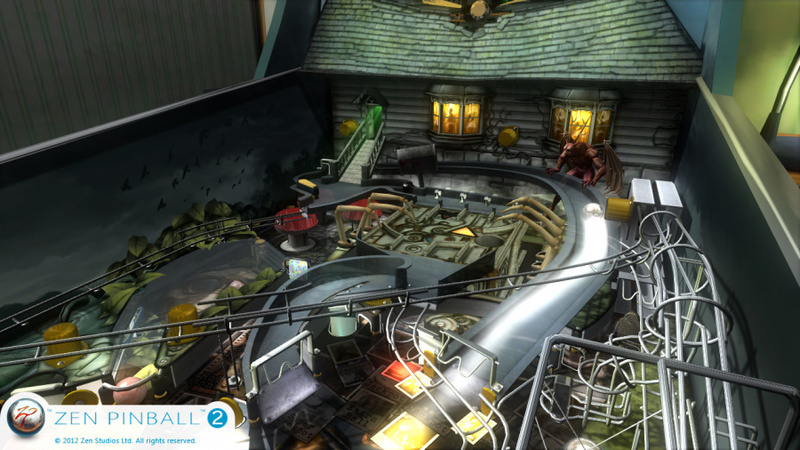 As far as the game goes the table designs seem to vary, but overall I prefer real pinball designs over these. Until the Pinball Arcade is available I expect I'll play this more than anything else on my Wii U, however as a good video pin is better than none! I do think they could do a better job with documenting the table rules, however. In Blade for example there's an elevated playfield where you need to make a shot in order to start a mission, but how to actually get the ball there was something I only found by accident. These tables can be quite convoluted, so I doubt I'll be getting wizard mode on any of them, but that's cool. Sounds like it got a 7/10 for the clumsy DLC, which seems a bit unfair. You only face those quirks at most once for each table you want. After that, you're just playing a great game. Only letdown for me is that some tables are only available in packs. I would love to buy Wolverine and Spiderman for €6,- together, but they are only in a pack together with Blade and Iron Man. I already have those last two on my 3DS and I'm not going to pay €10,- for a pack that is only worth €6,- for me. When will I get this is the US? @hiptanaka Other reasons are given for dropped marks — some tables don't feel as well balanced as they should, the leaderboards seem to have some connection/loading time issues at times, multiplayer requiring the Wii U Pro Controller and not supporting existing Wii controllers like so many other titles do. All the issues contribute, and the poor DLC infrastructure also plays its own important role. "A seven is not average in our eyes. This game will sport a few areas where the game is blatantly let down to the detriment of its overall quality and enjoyment, but it is NOT average. A seven is still a recommendation, but you might want to consider what we thought let the game down and decide for yourself if it would bother you before buying." I play this on my PS3/Vita and I HIGHLY recommend the Epic Quest,PvZ and about half the marvel tables. I downloaded this this weekend, played a few tables and couldn't believe how boring it was. Threw it off of my wii U.
haven't had any problems, not sure what the guys problem is. Downloading the tables is easy, not really fussed. 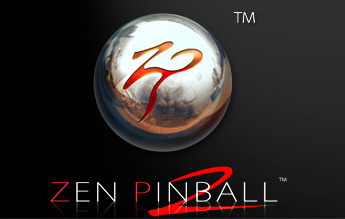 its perfectly straight forward open e shop, select zen pinball, click the dlc button and the table you want. Bang start zen pinball installed. Process took a couple of mins. Why are people so impatient they have to have it instantly it took all of a few minutes to download. Game is a 9 in my opinion. it looks gorgeous, sound and music is fantastic, excellent replay value easily the best pinball experience i have ever had. @StarDust My question as well. Honestly, I only read the conclusion, which does make it sound like the DLC issues were the only ones, so I missed the other points you bring up. Even so, I think the sentence "This game will sport a few areas where the game is blatantly let down to the detriment of its overall quality and enjoyment" is a bit too strong for this game, as it really shines where it matters most. But that's a matter of interpretation, of course. Some badly balanced tables is something I can agree on being a detriment, though. Anyway, now I see where you're coming from. Thanks for the answer! Hey everyone! I'm the Community Manager for Zen Studios and I just wanted to say thanks for taking the time to write your thoughts and impressions about Zen Pinball 2. I'd just like to apologize for any inconvenience the new game has caused! This setup (free download + paid DLC) is brand new for Nintendo, so it's not surprising that it takes some getting used to. For those of you asking about a North American release date--we'll have it soon! The review focus to much on the platform, the game itself deserve a 9.5/10. Im into pinball for like 30+ years and this is actualy the best pinball experience you can have on a console. Will buy all the tables, awesome stuff, thanks! I'm absolutely ADDICTED to zen pinball and I want it NOW for North America please make it happen ASAP! Thanks! And maybe some other tables on 3ds if possible, that would be cool! I think it's unfair to dedicate so much of the review to a process you really only have to go through once. Plus it really isn't that confusing IMO. If you go to download the full unlock of the table it does actually tell you how to do it properly on the download screen, kind of unfair to say it doesn't. Shame about the score but reviews are just somone's opinion and I'd never begrudge that. I have a few tables on this version and all the tables on the xbox version. I think its great fun and a perfect "chaser" game-great to unwind with for a few mins after playing something more involving for hours. For clarity the bit of the review I'm referring to is "The unlocked tables that you've just clumsily paid for will only work — at least in our experience — if you've already downloaded the equivalent trial tables, too; the game doesn't tell you to do this." It does tell you on the download screen for the full table unlock although some people could miss this if you click past without reading. 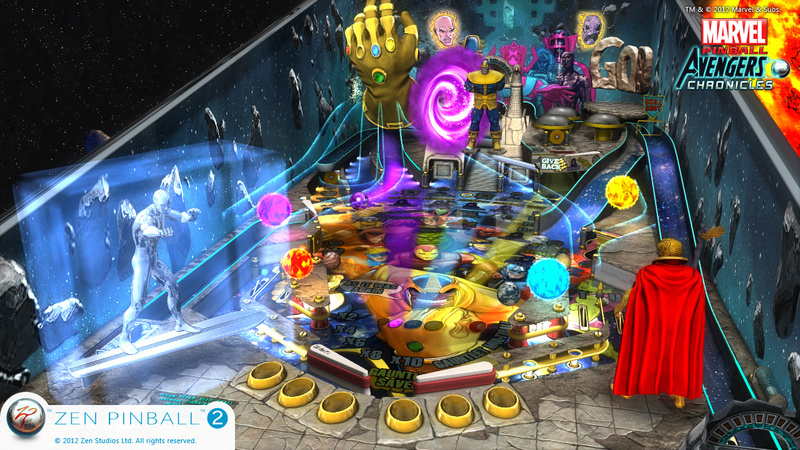 Zen Pinball 2 is a great game. The eshop integration is not good obviously. It makes you wonder what the extra month spent "making sure this kind of free trial + paid dlc" was for. But I love the game. It's unfair to compare the dlc process to New Super Mario Bros. 2. Nintendo controls both the shop and the game in that case. Maybe nintendo didn't want to setup a direct link to the eshop in this case. And given all you have to do it hit the Home menu whilst in game, press eshop and it takes you directly to the zen pinball eshop page, nintendo probably didn't see the need for a direct link. My guess would be that nintendo has no way of linking the eshop from inside games yet. Maybe that will come in a system update and then zen can patch it in. The amount of ppl on the miiverse about having to pay to play tables really need to chill out. Your paying about the equivalent of a couple of games of real pinball for infinite access with off TV play and leader-boards. And zen's tables are very well thought out too! @placidcasual You're absolutely right, I see that message now; I initially thought you were referring to the screen that states that the app must be downloaded prior to additional DLC. I've added a correction to the review, which is only right. Although the message (when noticed) helps with one aspect, my overall stance on the process is the same, in that it could be a lot better. I missed that line, but as have others, and the lack of intuition when buying content is an issue in multiple ways. As I've also said previously, the score is still a recommendation. Other parts of the game also resulted in the score given, too. In any case, I hope that clarifies. My guess is that there will be a patch to streamline the purchase process someday in the near future. Zen was under the gun to get this out to us as fast as they possibly could, seeing as how they missed the original launch window. The clunkiness was expected if you look at the UbiSoft DLC model. This was the initial fear I had when a DLC model was announced for 3DS. At least those fears were unfounded. The set-up for d/l'ing tables could be smoother, but it's just a one-off issue. Personally i read a few Miiverse entries before purchase and it was easy to see what to do. I have ZP on 3DS as well and I think it's well worth the extra cost on Wii U (I don't have PS3/360/i-pad) to play the tables on the big screen, i never got comfortable with playing ZP on 3DS. Didn't it occur to you that, maybe, Zen Studios had nothing to do with the entire infrastructure mess? I mean, Zen Studios managed to get it right on the PS3 and, I assume, on the XBox 360 as well. Maybe Nintendo didn't have the proper infrastructure in place, maybe you shouldn't put the blame on Zen Studios itself. Regardless, this review mostly criticizes something that potentially could have been out of their hands, not to mention it weighs this over how the game itself plays. I hit the same problem as many others - bought a table without the demo, got confused, had to Google it. Still, I've been playing "Epic Quest" all afternoon and it's great. My first foray into Zen Pinball. I'll try some of the Marvel tables next. I wonder how long it will take to get to the North American systems??!! My personal favorite tables are Exaclibur, V12, El Dorado, Mars, Street Fighter and any of the star wars tables. Epic Quest is in my top 3 tables of all time. © 2019 Nlife Media, part of Gamer Network. Hosted by dx.net.